Why sponsor the SOFIMUN event? To be a sponsor of SOFIMUN means to help young people in their educational and cultural development. As our sponsor, you’ll be introduced with all details of your concern about the conference. The great international attendance to the conference gives an opportunity for an audience of a great variety. Please note that the SOFIMUN Foundation is responsible to its sponsors for full financial transparency and final detailed report after the conclusion of the SOFIMUN event. The name and logo of the institution / company / organization will be published on the website of the SOFIMUN event. Due to the international character of the conference, our website is visited by more than 1000 unique visitors per day in the registration period of the conference. During the conference and after it we experience even more visitors. The SOFIMUN Foundation has decided to open special sections in the website, specifically for the biggest sponsors of the SOFIMUN event. In those section our partners will have the free will to publish information about them and their services and products. The SOFIMUN Foundation provides feedback on demand about the number of visitors and their state of access to the website. The doesn't contain any personal information about the visitors. The SOFIMUN Foundation publishes description and a link to the website of the sponsor and makes sure that the participants and the other partners of the conference are informed about who is supporting the SOFIMUN event. The SOFIMUN Foundation can decide to embed also a promotional banner of certain sponsors depending on the level of support provided to the SOFIMUN event. Before you decide upon the parameters of your sponsorship we urge you to go through our SPONSORSHIP PROJECT for SOFIMUN 2010. If you want to receive an online version (PDF) or a hard copy please write to the Finance division of the SOFIMUN Foundation at finance@sofimun.org and we will send you the booklet. For more information regarding the positions please contact our Finance division at finance@sofimun.org or call +359 889 691 739 - Mr. Dimiter Mandradjiev - Finance and Fundraising supervisor. The name and logo of the institution / company / organization will be published on any printed material, issued before, during and after the conference by the SOFIMUN Foundation. - invitations to the conference’s special guests (ambassador, embassies, international organizations, Bulgarian institutions). The SOFIMUN Foundation pays special attention to the materials issued on the behalf of the conference by sending them to particular receivers (medias, partners, special guests, delegates) on everyday basis. The SOFIMUN Foundation can decide to add promotional information of certain sponsors depending on the level of support provided to the SOFIMUN event. The SOFIMUN Foundation includes the names and logos of its sponsors in the Final Report of the SOFIMUN event which is prepared in 2 months time after the conclusion of the SOFIMUN conference. The Final Report is made public during a press conference after the SOFIMUN event. After the press conference the Final Report is published on the website of the certain edition of the SOFIMUN event. As our sponsor, you can provide the conference also with promotional materials of the institution / company / organization which you like to be presented. These materials are included in the Welcome package which is received by every delegate, conference team members and our special guests who are attending the SOFIMUN conference. What else can be included in a Welcome package? The SOFIMUN Foundation is open for proposals from the sponsors. The Welcome package can contain various additional promotional materials, products or even special cards for discounts. The materials in the Welcome package can consist of advertising leaflets to products, specially manufactured for the SOFIMUN event. You can include stationary items like pens, pencils, rubbers or other items like badges, caps, scarves, t-shirts, souvenirs, etc. The SOFIMUN Foundation has decided to form a special organ which will function during the SOFIMUN event - SNN - SOFIMUN News Network. Following the tradition of other international MUN events the SNN publishes an everyday PDF edition on news about the conference. 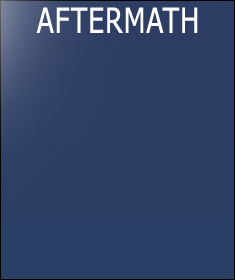 This issue is distributed among delegates and among cooperating institutions on international level. This issue is also published in the special SOFIMUN media online space. The SOFIMUN News Network broadcasts videos about the conference – interviews and presentations that are shown on screens and distributed among cooperating institutions on an international level. Our sponsors are listed with a logo and name in our everyday media issue and in our video announcements. Our sponsors can also provide us with their promotional video to be broadcasted on everyday basis through the SNN video coverage of the SOFIMUN event. The SNN is the official intra-conference media body which has full access to the event. It consists of an international crew of 10 young professional. 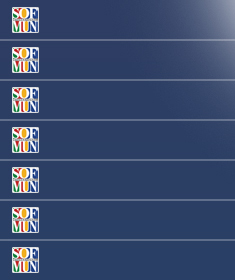 Please be aware that SNN is different from the other media partners of the SOFIMUN Foundation and the SOFIMUN event. The media partners are Bulgarian television and radio operators, newspapers and magazines, internet medias. The media partners are published in the PARTNERS section of the SOFIMUN event website. The SOFIMUN Foundation also gives press conferences for the media before, during and after the SOFIMUN event. On them the team of the SOFIMUN Foundation gives detailed information about the resolutions and decisions which have been reached during the SOFIMUN event, as well as expression of gratitude to all the sponsors and partners of the SOFIMUN event. The SOFIMUN conference has a special team, dealing with the wide promotion of the conference and its sponsors and partners. - Organizing minimum 2 press conferences – at the beginning and at the end of the conference. - Press releases on a regular basis to over 300 Bulgarian media (televisions, radios, newspapers, internet editions). - Press releases on a regular basis to over 100 international media, including specialized ones. - Press releases on a regular basis to over 1000 universities and NGO organizations in Bulgaria and abroad. * The press releases with information about SOFIMUN are sent on a regular basis after the start of the work of the PR team (approximately, 6 months before the SOFIMUN event). The SOFIMUN Foundation offers to its sponsors the ability to support the SOFIMUN event by awarding delegates with various items or opportunities. Institutions, companies, organizations can contribute to the development of the young leader by awarding all of them or only part with items. Please be aware that the SOFIMUN Foundation will not accept a direct financial award (cash) to be given to a delegate due to the principals of the MUN idea. However the SOFIMUN Foundation will accept an indirect financial award to be given to delegates at the SOFIMUN event. Such can be a scholarship for a university, program, exchange or other. The SOFIMUN Foundation strongly wishes to promote the idea of internships. A sponsor can contribute to the SOFIMUN event by sponsoring a paid internship. An award can also be a discount opportunity for services or products of a company. The SOFIMUN Foundation welcomes private sector companies who wish to take part in awarding the delegates with items or services. The awards can be given by your own choice or as a lottery at the end of the SOFIMUN event. The SOFIMUN conference gathers young world leaders from more then 30 nations from 6 continents. The SOFIMUN Foundation welcomes any public organization or institution wishing to have a reception of the world youth elite. A reception can be carried out under the terms that no racism or other ideas and activities that may lead to penalties by law are to be promoted or discussed during such an initiative in the period of the SOFIMUN conference. A reception by a public organization or institution contributes to the strengthening of the relations between the young generations and the national representatives on the SOFIMUN forum. By having a reception the public organization or institution (local or state) have the ability to promote important ideas and put them on the agenda of the young people on a global scale. Also such an initiative shows that the public organization or institution supports the young generations and thus tries to eliminate the generation gaps. An initiative of this kind is one of the best ways to promote your ideas in the public by having a strong media coverage. The SOFIMUN conference is one of the few places where future world economic and political leaders gather. As our sponsor, under your choice, the institution / company / organization can take part in the conference. During the SOFIMUN conference special presentations can be initiated and carried out. These presentations can be academic or other kind of lectures; meeting with the delegates; product and/or service promotion of a company; or other types of presentation. A presentation can also be a tour through a building, factory, museum or an acquaintance with the foreign policy of a state or union on a certain issue. The SOFIMUN event will try to have academic lectures and presentations on the issues that the SOFIMUN organs are going to discuss. A presentation can be carried out in front of all the delegates or just with a certain organ. The SOFIMUN Foundation encourages the multinational idea during a presentation. The SOFIMUN Foundation will consider any proposal for a presentation during the SOFIMUN event. - Sofia University "St. Kliment Ohridski"
- Faculty of Journalism of Sofia University "St. Kliment Ohridski"